If you're a pasta lover like me, you may be interested in a newly released cookbook from Sara Jenkins of NYC's Porchetta and Porsena restaurants, and her mother, acclaimed food writer Nancy Harmon Jenkins. The book, The Four Seasons of Pasta, contains a comprehensive collection of 120 rustic pasta dishes, beautifully photographed, and conveniently organized by season. 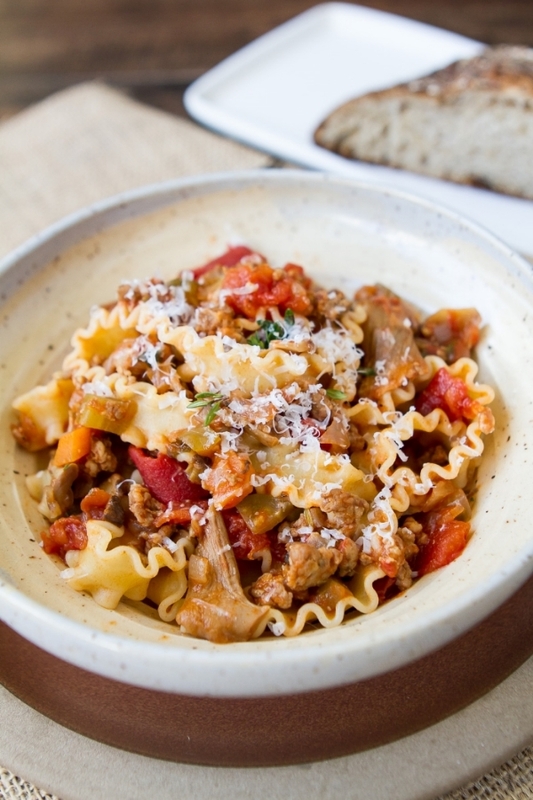 One of my favorite recipes from the book, and one that I can't stop making, is this flavorful ragu.